Eric Henry, president of TS Designs, produces tee-shirts made with cotton grown organically right here in North Carolina. Eric is an entrepreneur with a social conscience – he supports several local farm, food and energy initiatives, always thinking and acting creatively about how to make a more sustainable community. 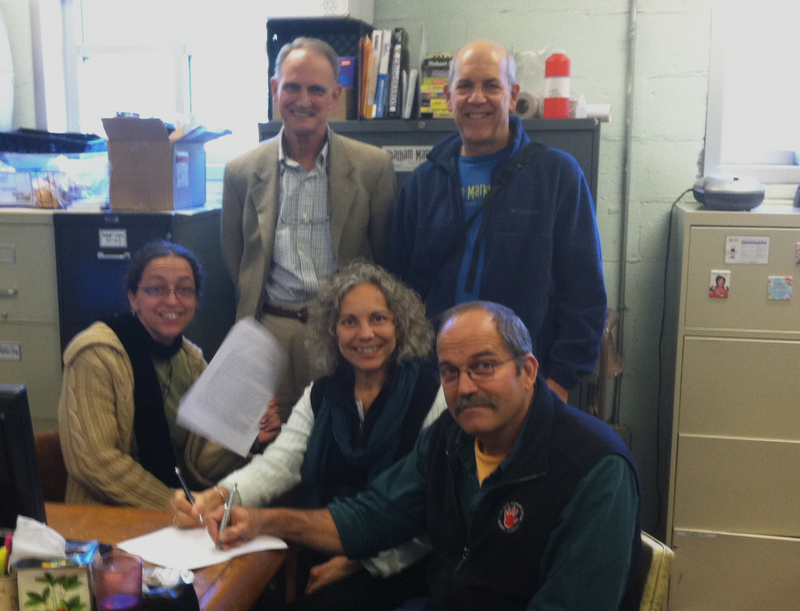 This interview is reprinted from a great guide called, “How to Advocate Locally to Support Sustainable Food & Farms: A Brief How-To Manual,” available free from Carolina Farm Stewardship Association (CFSA), another mover and shaker in our foodshed. Plenty of information and inspiration here. Thanks, Eric and CFSA. 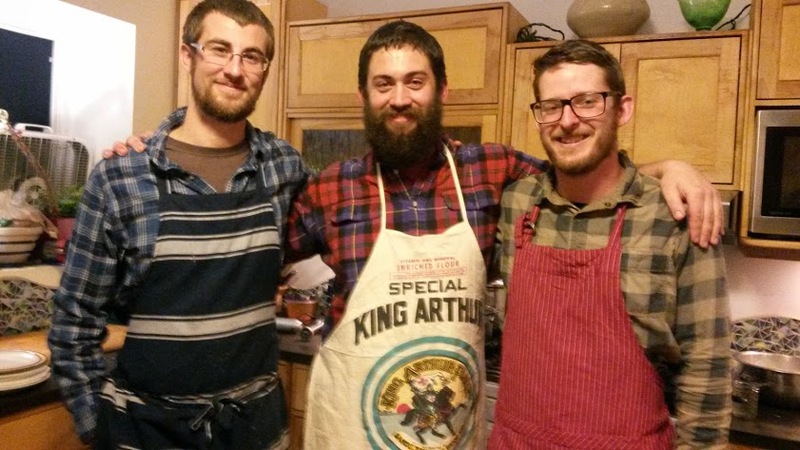 Eric Henry is well known in North Carolina for his dedication to sustainability. In 2009, he won the Sustainable Champion Award from Sustainable North Carolina. He adheres to the triple bottom line business philosophy (people, planet, profits). His apparel company, TS Designs, even has its own organic farm. Eric also founded the Burlington Biodiesel Co-op, and runs his own car on biodiesel or vegetable oil. He devotes a lot of time to furthering the sustainable agriculture agenda in his county: He serves on various community organizations and local government boards, as well as on the Board of Directors for Company Shops Market, a co-op grocery in Alamance. Eric is a true champion for system-wide change towards sustainability. CFSA: How did you become knowledgeable about sustainable agriculture so that you could be an effective advocate? Eric: Through my apparel business I learned about the importance of a local and transparent supply chain. This made me want to learn more about sustainability and local agriculture. I began to educate myself on sustainable issues through research and by connecting myself to people of the same mindset. I am a member of Carolina Farm Stewardship Association and attend their annual Sustainable Agriculture Conference; working with them has proven to be a great way to stay up to date on sustainable agriculture issues. I also regularly talk to sustainable farmers whom I know. CFSA: How did you find out who held the power in Alamance, so that you could determine how to make changes in your local food system? Eric: I have lived in Alamance County for over 50 years and I’m involved in a lot of civic groups ranging from Elon University to the Chamber of Commerce. I also met with the County Manager and other members of local government as a way to gauge who in county government were sympathetic to sustainable agriculture. I go to lots of local community meetings to keep up with what is going on. CFSA: How did you prioritize the projects that you have undertaken? Eric: Alamance already had a farmland protection plan and a good group of organic farmers. We were ready to go to the next level. I personally put in a lot of time working on getting Company Shops Market off the ground. I wanted to help to build a local living community and I thought that linking local farmers to local consumers via a retail store was ambitious, but doable. Another project that I took on was creating a large organic garden at TS Designs. This created a way for me to share sustainable agricultural practices with customers of our shirts and healthy eating information with our employees. CFSA: How did you negotiate with those in power to affect the changes that you wanted to see happen around sustainable agriculture in Alamance? Eric: When we were organizing the Company Shops Market we had to do a lot of negotiating with local government and others as we worked to locate the shop in downtown Burlington. I had to convince officials that this was something that was going to be good for the downtown area and would be good for local businesses. We had to be forceful in our negotiations and eventually convinced decision-makers that this would be great for local business, farmers and consumers. One thing we did was invite in another county manager, one who is sympathetic to local food, and introduce him to our manager. That helped build trust. Also we invited Michael Shuman, a national economic development consultant, to talk with local folks about local food economies. CFSA: Looking back, can you talk about some successes and failures, as well as reflect on anything that you may have done differently in your efforts to promote sustainable agriculture? Eric: The biggest success was establishing Company Shops Market and creating a place that connects citizens to local foods. Our challenge is still that sustainable, local agriculture is a very small part of our local food system. We need to do a better job of selling local food as economic development and job creation. We need more allies and to continue to educate the broader community about this goal. Does it drive you crazy when it turns out that the supermarket produce labeled “farm fresh” actually comes from China or Chile? How can we find out where our “fresh” food really comes from when the labels are hard to read and deliberately vague? One answer for those of us living in North Carolina is the new “Piedmont Grown” label, which means what it says — this food was cultivated and harvested within our region. Piedmont Grown is a new local certification program to clearly designate food and agricultural products that are grown, raised, or made within the 37 county Piedmont region, including the Triangle, Triad,and Charlotte areas. The label helps consumers make informed buying choices that will benefit farms in the region and our local economy. Piedmont Grown will make its first public splash at the Farm to Fork Picnic at the Breeze Farm in Orange County on June 26th, and with the launch of www.piedmontgrown.org. The website provides a user-friendly local food directory and map spotlighting over 100 Piedmont Grown certified farms and businesses. The site also allows qualified new entities to become certified online. As the program grows, the website will become a central hub for consumers to find local food and to learn about the farmers and businesses that make up our local food economy. Piedmont Grown is actively certifying farms, farmer’s markets, groceries, restaurants, local food artisans, and other local food businesses. To become certified, members must meet standards and practices specific to their category and sign an annual license agreement to use the Piedmont Grown logo. 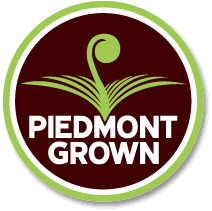 The standards for using the logo are intended to protect the integrity of the brand and reinforce to the public that these are indeed Piedmont Grown products and businesses. The annual certification fee of $100 has been prorated to $50 for 2011 and, thanks to a grant, is free for farms this year. The program is managed by Piedmont Grown NC Inc., an incorporated non-profit comprised of a Board of Directors that includes many local food visionaries. Current board members include Ranells and Pierce, as well as Dr. Rudi Colloredo-Mansfeld (UNC-Chapel Hill) and Jonathon Romm (Elon University and Company Shops). A keystone team helps to guide this effort and includes Debbie Roos (Chatham Extension Service), Marco Shaw (Eno Hospitality / Piedmont), Mike Lanier (Orange Extension Service), and Robin Crowder (UNC-CH Gillings Sustainable Ag Project). 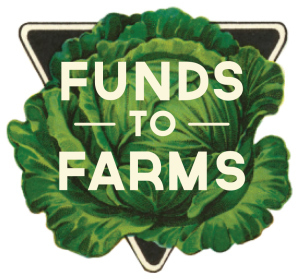 Piedmont Grown received support from the Appalachian Sustainable Agriculture Project and the Tobacco Trust Fund and is a partner with the 10% Campaign. For more information: www.piedmontgrown.org or info@piedmontgrown.org. There are many things to love about Pittsboro‘s newest farmers’ market opening April 16 at Chatham Mills. It’s a first for downtown Pittsboro. The Chatham Mills Farmers’ Market is located at the renovated historic textile mill on the north end of town, 480 Hillsboro Street. That’s the same property as Chatham Marketplace, the natural foods co-op grocery and cafe, within easy walking distance of many shops and homes, with plenty of parking. You’ll be able to pick up your fresh farm products at the market and then complete your grocery shopping inside at Chatham Marketplace. It’s open on Saturdays from 8 am to 12 noon from April 16 through November 19. This makes it especially convenient for folks like me who commute to work outside the county during the week and often can’t get to the Thursday afternoon farmer’s market on the other side of town. More than 25 local farmers and farm vendors have already signed up to sell their goods, including a wide range of fresh vegetables, meats (pastured chicken, lamb, goat, beef and pig), cheese, eggs, honey, gluten-free bread and other baked goodies, flowers, pottery, jewelery and other hand crafts. The season will include chef’s demonstrations, kid’s days and other farm and food related special events during market hours. It will draw more shoppers to downtown Pittsboro. Chatham County is famous for its sustainable small-scale farms, whose food is found in markets throughout the region and on the menus of the Triangle’s best restaurants. Now consumers seeking out the freshest local food will find it more easily in downtown Pittsboro, spending more of their food dollars closer to home. That’s good for local farmers, local shoppers and the local economy. “We’re thankful to be in an area with such talented and hard working growers and producers, we want to provide them with a successful market to sell at, closer to their farms than the city markets,” said market board member Chris Jude. What could be a better opportunity to promote local food, health and nutrition than the school lunch? We are hearing more and more about the worldwide epidemic of childhood obesity and diabetes. School lunches are the perfect place to make a big impact. Welcome to The Chatham County Chef Challenge in which we introduce three celebrity chefs to the ingredients, facilities, and nutritional guidelines of the iconic school lunch. Their assignment is to develop healthier menus using the same ingredients and guidelines and staying within budget. Three Chefs have volunteered their time and expertise: Colin Bedford of the Fearrington House Restaurant (North Carolina’s only official Five Star), Jimmy Reale of the Crossroads Restaurant at Carolina Inn (four star and four diamond restaurant), and Steve Caldwell of the Natural Chefs Culinary Program at Central Carolina Community College, (first community college in the nation that offers a wholistic, sustainable culinary arts program). They all have quality and local food in common. Two have children….it will be interesting to see what they come up with. 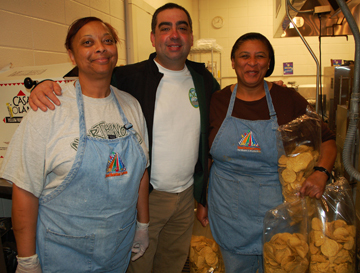 The chefs must develop recipes and techniques to increase the amount of vegetables on the menu, and to raise awareness about the lunch program. The menu needs to be quick and easy so that the lunch ladies can replicate the menu. Debbie McKenzie, Child Nutrition Director, is leading the charge and organizing the different school lunch teams. It’s her job to juggle getting the most nutrition in the lunches and keeping the budget of $1.00 per child. I don’t envy her challenge. We took the chefs to visit Northwood High School, Moncure School, and the brand new Pollard Middle School to give them a taste of what they would be working with. 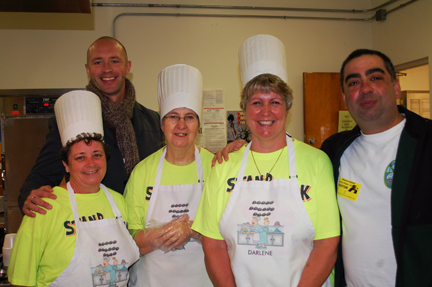 There was a lot of enthusiasm from the school lunch teams. After the chefs develop their new menus, the school lunch teams will serve them up over three days in April. Students will also have opportunities this month to interview the chefs at their restaurants. We think The Chef Challenge is going to be a lot of fun. It will give us a chance to learn about some of the myths and realities from behind the counter of our county’s largest food service organization. And it will give Chatham County Schools some exposure to our mission of local food and sustainability. And of course we love working with the kids. More to come! Next steps are the menu creations, teaching the teams to create these for the 17 county schools and then implementation. Can’t wait to see what unfolds! –Tami Schwerin is executive director of the Abundance Foundation in Pittsboro.